This all started 4 days ago on Wednesday on September 30th, 2015 after Syria pleaded for help from it's friends in the East, Russia. Why is this "help" causing an uproar in the international community when Russia is killing the Terrorist Group Isis which is responsible for the millions of refugees pouring into Europe by the masses? Let's dig a little deeper and see what we can find out. Well, for over a year now, the U.S. has been bombing Syria without congressional or U.N. approval, which would deem the U.S. of being in violation of the Geneva Convention & International Law. They are the most disheartened by the acts of Russia, because the attacks were not coordinated with the U.S. In rebute, It was blasted on U.S. News Media on Wednesday that since the attacks of Russia were not approved, that Russia was in violation of International Law and it rose concerns of whether or not Russia should be brought up on charges of crimes against humanity. I would like everyone once again to put yourself in the war zone in your mind. Thousands upon thousands of people are fleeing Syria, trying to Flee Isis to keep from being murdered. Ok? The U.S. is not bombing Isis. The U.S. is bombing Syria. Savvy? 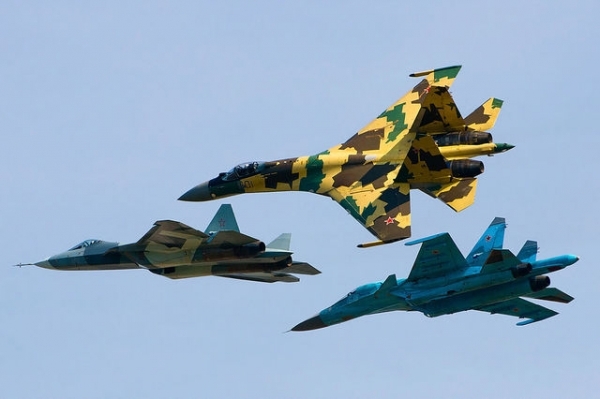 The U.S. is bombing the side that Russia is trying to protect. Make sense? It's another reality spin. The only crime Russia has committed and is in violation from is resisting the U.S. empire. The only way that Russia is getting a United States blessing is if they agree to help oust Bashir Al-Assad & his government. Accusations and claims made by U.S. politicians state they are concerned that instead of attacking Isis, they are actually attacking the moderate Syrian rebels trained by the United States. U.S. Generals are on record stating this group consists of a total of 4-5 individuals. Each round of moderate rebels end up defecting to the ISIS regime, so who is the U.S. really helping? Russian fighter jets have attacked 10 Islamic State targets in Syria in their latest airstrikes, destroying arms depots, training centers & infrastructure, Russian Defense Ministry Says. 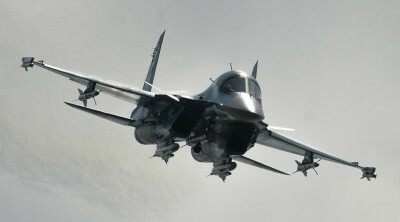 In the last 24 hours, Russian military aircraft have performed 20 sorties. Bashir Al-Assad stated today: "Western countries are using terrorism as an instrument of control." He has also stated that he is ready to step down if his departure is the solution to the four year long conflict. In the meantime, The number of refugees and migrants expedited to arrive in Germany by the end of 215 has soared to 1.5 million, according to Bild newspaper, citing a government report. Meanwhile German politicians say that the EU must take immediate measures to limit the numbers. Out in the west, Leaders of the US and the UK have recently slammed Russian airstrikes against the Islamic State in Syria, claiming they only make things worse. These allegations are "totally unacceptable," -MP from the Left Party in Germany Wolfgang Gehrcke. Who is right & who is wrong? That is the fair thing about war my friends. There is no right or wrong. Fathers, Brothers, Mothers & Sisters and other siblings die, and the rest of us live out our lives in retrospect while some lustful politician lines his pocket with our tax dollars. What is clear, innocent people are dying. Well some say, innocent people die everyday. Morgan, what about those dying in Africa which are dying for hunger? The minds behind the strategy killing people in Syria, could halt that campaign, and start feeding the people in Africa my friends. Have you ever seen the movie "The Great Dictator" with Charlie Chaplin? He says in his ending speech, the earth is rich! We can prosper, she has enough to support us all! But there are some that want to reduce our numbers. It's all about money and power and reducing the numbers "they" have to take care of. It's literally the killing of the innocent. What do I think? For now, Russia is doing the right thing I believe. But, let's face it. Bashir Al-assad is not good hearted man either. He's just as cruel to his people if not worse than Sadaam Hussein. In the bible, it talks about in the book of Daniel, the fall of Damascus. I think we're about to see it. Because we have begun to kill the innocent. There is no other way about it. Who is right and who is wrong. It depends on who has the most money to gain. Perception equals Reality remember? And they'll spin, spin, & spin to make your eyes see the best. All the meanwhile, a 3 year old's body washes up on the shores of Turkey because the boat he was on trying to flee Syria, capsized and he drowned. We're suppose to take it and deal with it. As Bruce Hornsby says, that's just the way it is. But then he says, don't you believe that! We change ourselves. We change each one of our own individual selves, then we can start to take an effect on the whole of the world. We have to start with ourselves. Chinese Military is on it's way to Syria. 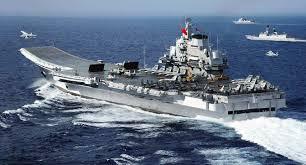 A Syrian Army official told the Lebanon-based news Al-Masdar Al-Arabi that the Chinese will be arriving in the coming weeks. 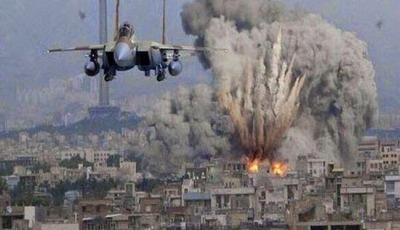 4 Israeli airstrikes on Military sites of the Qassam Brigades in Gaza. This in retaliation to supposed rocket fire which struck Israeli territory earlier in the day. YAlex gives us an update on his Total Emergency Alert. Stock markets crashing in China & Russia. Alex is saying we are looking at a total global collapse. Is Alex speaking truth, or is he talking out of his head again? I will say this, I don't think it's just like what Alex is saying. About 2.5 years ago, China and the other members of the B.R.I.C.S. bank, announced they wanted to seek an alternate currency to the U.S. Dollar as the World's Reserve Currency. I don't think China's Economy has tanked at all. Neither Russia's. They are just trading with B.R.I.C.S. members and dumping the I.M.F. They would appear to us as being bankrupt. But actually are just dumping the Rothschild Banking System. Refugees are fleeing the Middle East because C.I.A. backed I.S.I.S. are murdering them by the hundreds. I cannot believe the in-humane degree of this atrocity. How can a U.S. Government Branch back something of this nature? You were sworn to uphold the law and protect people in this kind of situation. It was a situation wickedly similar which led to your creation. Have we forgotten who the Nazis were? Have we forgotten their means? Have we forgotten who we are? A Nation sworn to uphold the weak. Not murder them to create a necessity for your existence. You were to create the beacon of light for the world. Not drowned it in darkness. From what realm of hell do you descend? A 3 year old boy drowned trying to escape your mercenaries. How does it feel to force the death of an innocent? May God have mercy on your soul. This is what your I.S.I.S. is good for. My heart goes out to the man that survived. His wife and children all perished. They were just trying to flee Syria. To get away from all the atrocities going on there. You will have to answer for this someday. Right here, Gerald Celente explains all. No one is buying Chinese products. They can't afford it. Chinese economy has been down 8% all year. The Chinese Government is purposefully devalueing their own currency to sell more products. He is predicting the end of the U.S. Dollar as the world's reserve currency. Please remember China can still trade to B.R.I.C.S. countries at their regular rates. The only losers are the countries still using the U.S. Dollar to trade with in the international markets. It's the beginning of a currency war. The same thing is going on with Russia. They are dumping their U.S. Dollars & Bonds. Stay tuned for the next update. The world is on fire. Innocents are being murdered. It's being reported that China & Russia's economies are tanking. The truth is, they have left the Rotschild Ran Banking System and Trade Forums. No More I.M.F. for China and Russia. They are de valueing their currency and ditching any and all assets tied to the World Lead, U.S. American Dollar. The United States will stand alone. Now those that know me, know I play the devil's advocate for both sides. What would the Rothschild's benefit from this? Destroy the old so you can build the new. Create the Problem so you can create the solution. The world is a stage. You better get ready to play your part. Hang in there my friends. We will stand on our own 2 feet until we cannot stand anymore. Wow I miss the 80s.